Since he first surfaced in 2010, Harry Agius (aka Midland) has been a chameleonic talent: a producer of surreal club cuts as well as modern pop songs; a house DJ always flirting with techno, disco and the sounds of his native UK. Through his productions, DJ sets and record labels, Midland's output comes across as unassuming and surprising in equal measure, at once subtle, refined and totally raucous. Midland's production style has nimbly evolved from one record to the next. “Your Words Matter” his collaboration with Pearson Sound (then Ramadanman), set the tone for his long-lasting relationship with Aus Music:– stripped-back, garage-flavoured house, which also characterised his 2011 single “Bring Joy” on More Music. Soon after, though, he flipped the script, joining forces with Pariah for a scuffed-up techno EP that formed part of the Sheworks series on Karenn’s Works The Long Nights label. This dark turn continued on what may have been his breakthrough track, “Trace”, a warped after-hours tune that seemed to emanate from the deepest corners of the subconscious. In 2013 he launched his label, Graded, with the double A-side of “Archive 01” and “Realtime”, both of which became seminal tracks on dance floors around the world that year. This was soon followed by “Drumtrak”, a wonderfully delirious creeper of recrord. In 2015 he wove bongos and soaring strings into his palette for the first time on the Double Feature EP, comprised of a pair of warm and disco-flavoured house bombs. The EP was released on his newly-launched ReGraded imprint, also home to one of the stealthiest hits of that year, Hubie Davison's “Sanctified”. 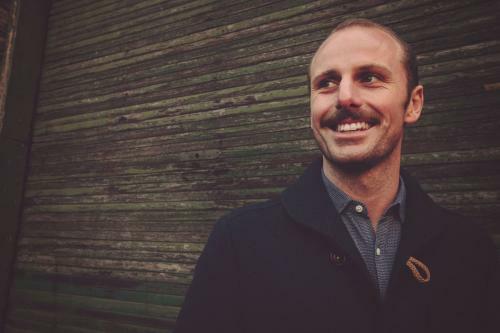 Midland has also worked on plenty of one-off projects over the course of his career, including remixes for artists from Mano Le Tough to Darkstar (on Warp Records), “Before We Leave” for Phonica’s white label series, and contributions to JD Twitch of Optimo’s Autonomous Africa label and as part of AKASE with Robbie Redway whose debut album “Grasepers”, released by Berlin institution k7!, showed a wholly different side to his sound. For all of these efforts he has received a steady stream of accolades, but it’s possible he’s made his biggest impact with the other side of his craft: DJing. Delivering his kaleidoscopic taste with a mixing technique that nods as much to his British lineage as it does to a smoother European style, he has distinguished himself with sets as classy as they are utterly party rocking. Late at night and early in the morning, aboard boat parties on the Adriatic or on the carpeted dance floor at Freerotation, via regular slots at Berlin’s Panorama Bar, Amsterdam’s Dekmantel Festival and London’s Fabric or his “all night long” events, he's given countless unforgettable moments to innumerable people.